CIKARANG! WE'RE BACK Here's that you've been asking for! 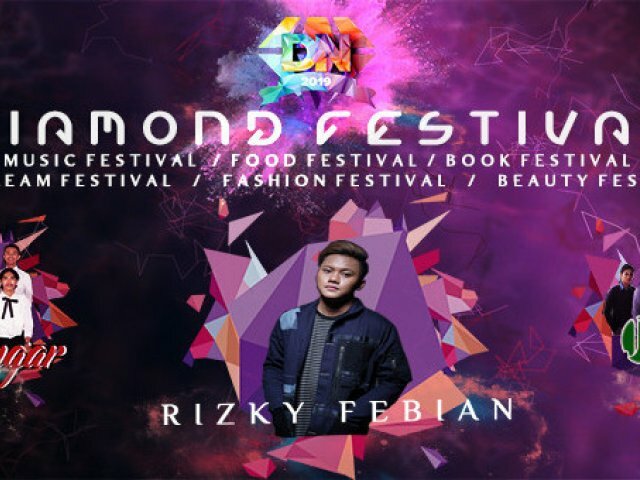 We're bringing you our annual event DIAMOND 2019 Dies Natalis Multitalent Performance of SMAN 1 Cikarang Selatan and Market Day 2019. So mark the date on your calendars and join our extensive event. And here's our Guest Star line up RIZKI FEBIAN, JK SKANKIN REGGAE, RED SUGAR. And also our DIAMOND FESTIVAL line up MUSIC FESTIVAL, BOOK FESTIVAL, FASHION FESTIVAL, BEAUTY FESTIVAL, ICE CREAM FESTIVAL, JAPANESE AND KOREAN FESTIVAL.